There's a common thread that connects high-performance enthusiasts; they want horsepower at the most affordable price. Hot rodders have always searched for ways to save money and improve performance, which includes fabricating their own parts, buying prime used parts, searching classifieds, and combing swap meets looking for deals. These high-performance enthusiasts take pride in beating the next guy in a contest of speed while spending a lot less to do it. Renowned engine builder and technical writer David Vizard turns his attention to extracting serious horsepower from small-block Chevy engines while doing it on a budget. Included are details of the desirable factory part numbers, easy do-it-yourself cylinder-head modifications, inexpensive but effective aftermarket parts, the best blocks, rotating assembly (cranks, rods, and pistons), camshaft selection, lubrication, induction, ignition, exhaust systems, and more. This book is an all-new color edition of a previous best seller. 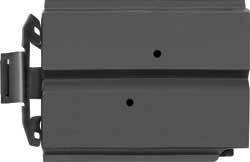 It contains the latest engine-building techniques, profiles current technology, and includes today's affordable parts and engines. Vizard performs ten engine builds, which include dyno charts and parts lists. And it's all done at a nominal cost. Don't throw away money on bogus parts and inflated horsepower claims. 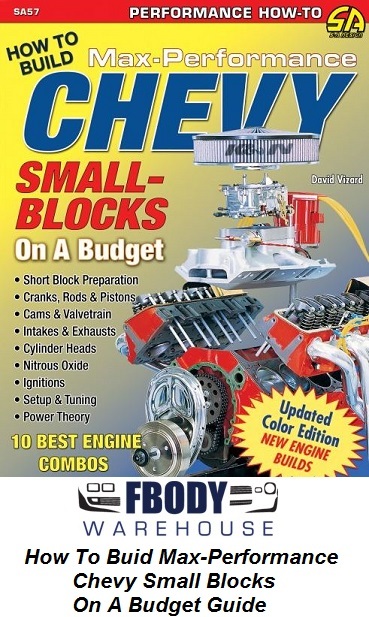 Get the real scoop with How to Build Max-Performance Chevy Small Blocks on a Budget today!